campaigns and in stimulating the children. 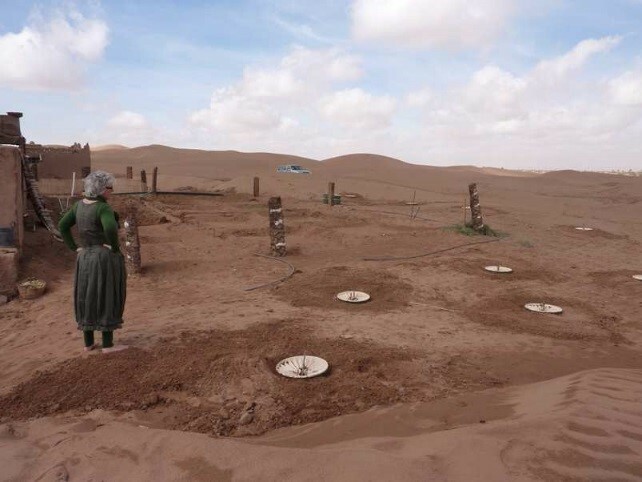 In October 2010 the first Groasis Waterboxxes arrived in the Sahara in Morocco. Around Bivouac Le Petit Prince they started planting using this technique together with the local people. The area has been split up in 4 different planting sites. The entrance to Bivouac Le Petit Prince camp, an area behind the restaurant tent, the back of the Le Petit Prince Camp and the Nebkah area. The start of the planting on this last site just started in November 2013 and the beginning of 2014. Groasis Waterboxx has amazing results. The first time The Sahara Roots Foundation planted with the Groasis Waterboxx was in October 2010. 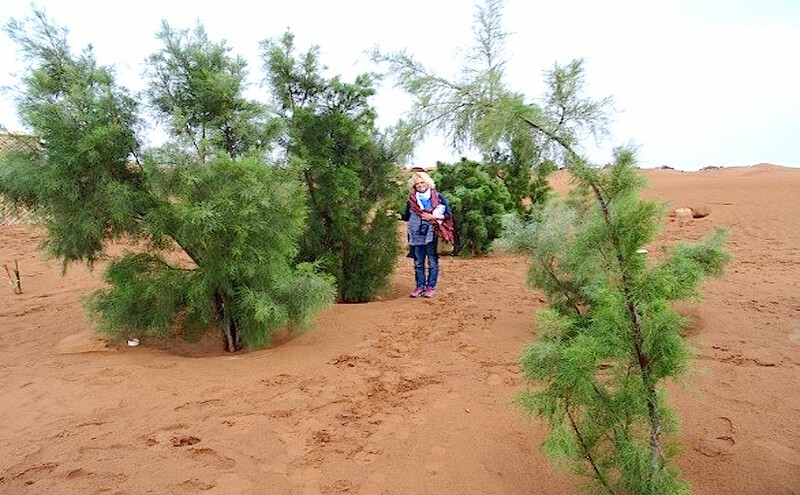 Together with the local people the planted the first trees. With amazing results.